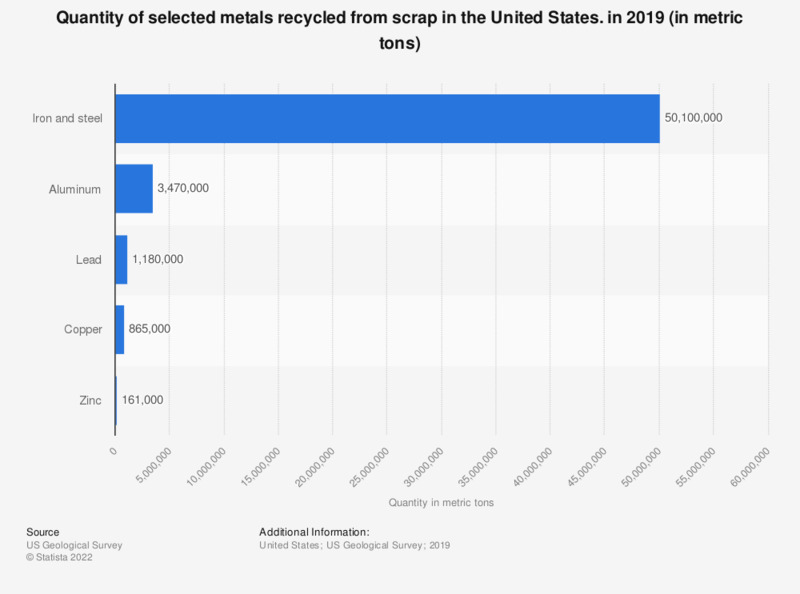 This statistic shows the quantity of selected metals recycled from scrap in the United States in 2016. In that year, almost 3.6 million metric tons of aluminum were recycled from scrap in the U.S. that year. Iron and Steel: Recycled scrap reported from consuming manufacturers. Apparent supply measured as shipments of iron and steel products plus castings corrected for imported semifinished products.